Hey Bands! Come Open For Us, Signed Yelle. For all the musicians out there who have ever seen an opening act at a live show and thought they could do better, now is your chance to prove your skills! 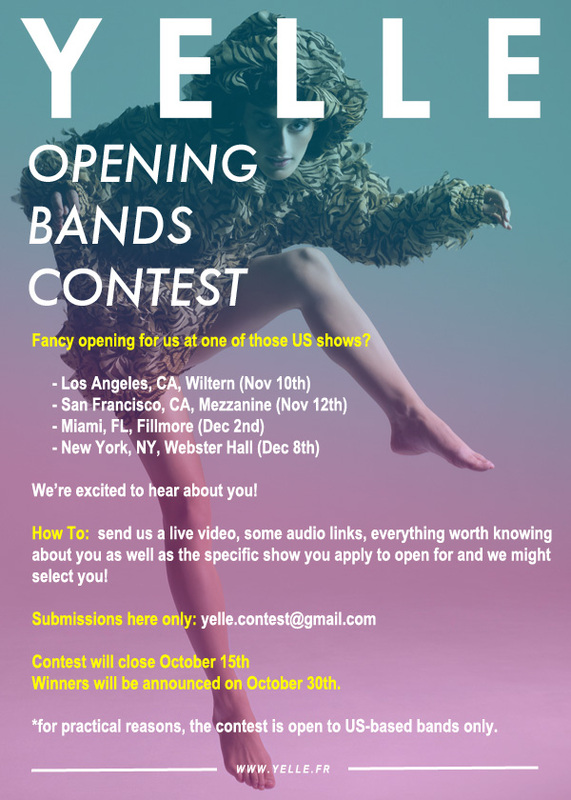 French electro-popsters, Yelle, is launching a contest to find an opening act for each of their upcoming shows in Los Angeles, San Francisco, Miami, and New York. 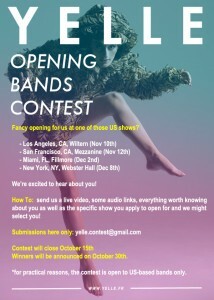 If you think you have what it takes to share the stage with Yelle, send some music and info about yourself to yelle.contest@gmail.com. The dance-pop trio also enlisted London-based producer Second Date (a.k.a. Henry Birkbeck) to remix “Comme Un Enfant,” off their latest album Safari Disco Club (V2/Cooperative Music USA/Downtown Records). His production places emphasis on intricate beats, warm bass, poppy vocals and arpeggiating piano – the latter of which has become Second Date’s trademark. Yelle have also released a trailer for the upcoming worldwide Safari Disco Tour;- watch it and get ready to dance the night away in a city near you!